Name meaning 'silk like hairy'. 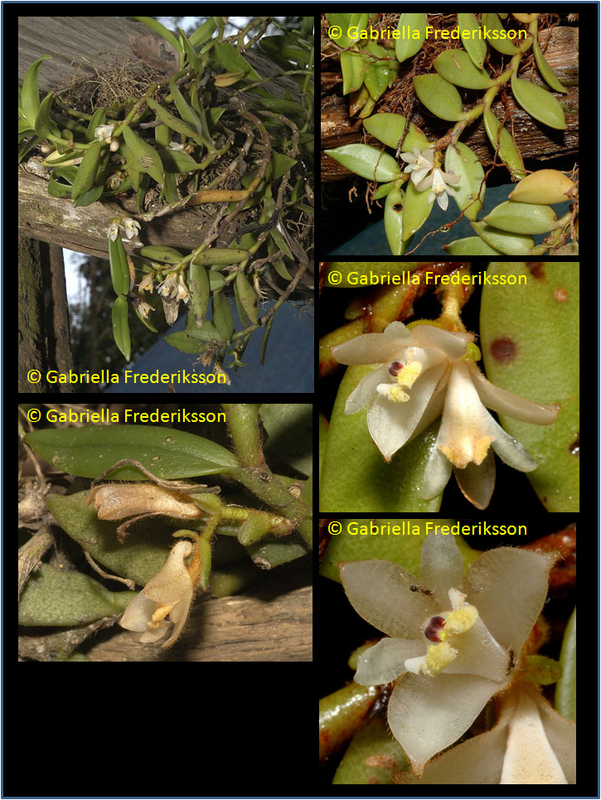 Eria monticola var. hirsuta Hook.f. Eria velutina Lodd. ex Lindl. Medium to large sized, epiphytic plant with cane-like, softly villous stems forming dense untidy mats carrying coriaceous, oblong-lanceolate, downy beneath leaves and blooms in the summer and fall, on a terminal or laterally from an internode, pendant, pubescent, short to 7.5 cm, racemose, to several  flowered inflorescence that has 2 hairy floral bracts and a hairy, short-lived flower that does not open well. Growing low on tree trunks in open forest with seasonally high rainfall and a long dry season or in humid, mossy, mixed and coniferous forests on mossy branches of old gnarled trees at sealevel to 1100 meters or in primary montane forests to elevations of 1450 meters. From Indochina to New Guinea.